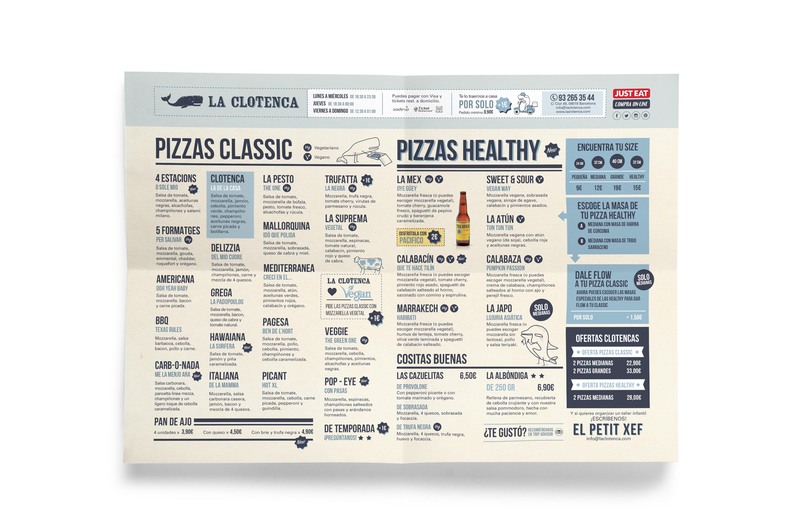 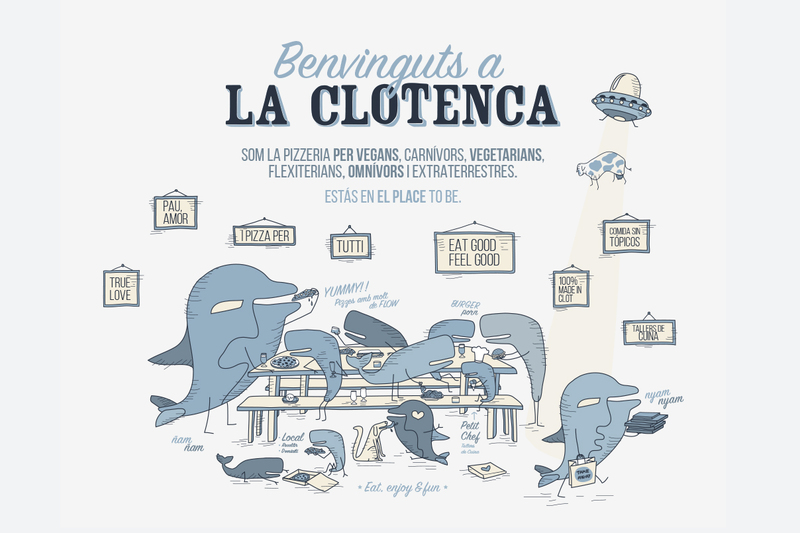 Creativity, illustration, graphic and character design for La Clotenca restaurant. 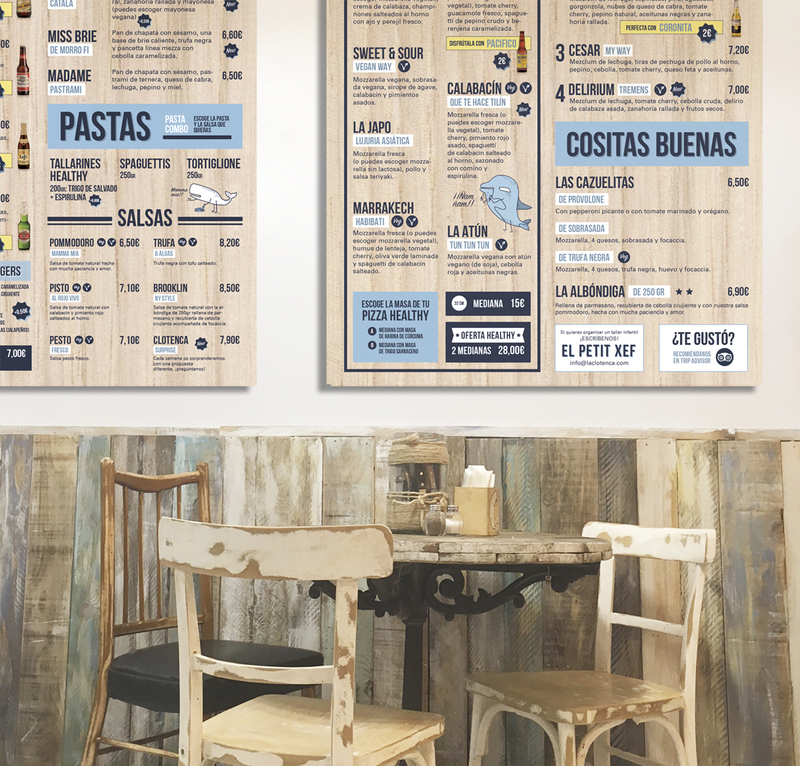 Interior design with vinyls and direct printing on wood. 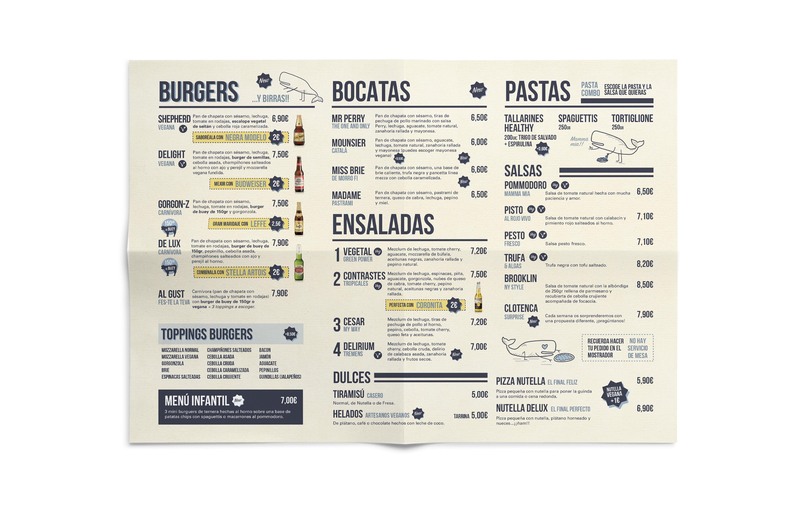 Application of the new image of the restaurant to menus and flyers. 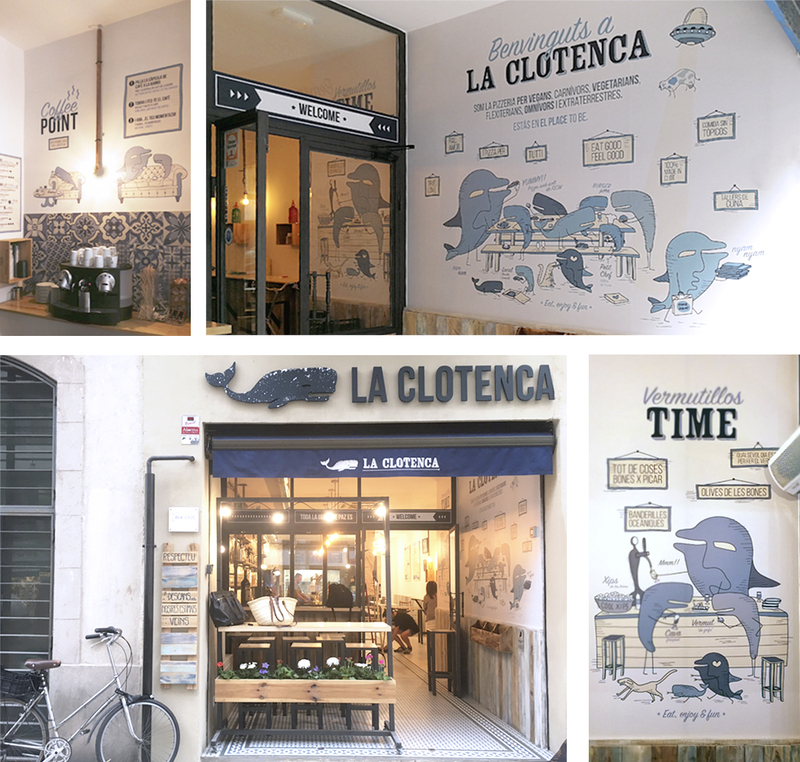 Design and handmade illustration for decorative blackboards.